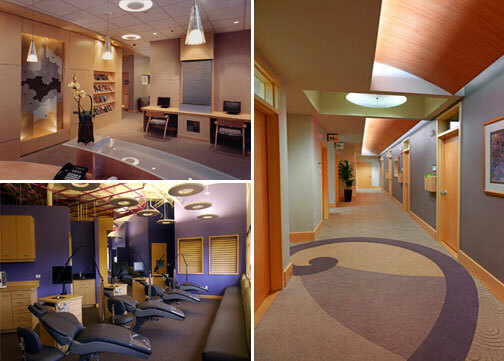 Space planning for medical and dental offices is analogous to the anatomy of the body. If the spine is out of alignment, the individual may have to compensate by stooping forward which in turn may affect the gait. In a medical space, an inefficient plan may cause the staff to walk too many steps or incoming and outgoing patients' paths may have to cross, or patient flow may be compromised. Fortunately, good space planning principles can be mastered (click here to see Jain Malkin's book Medical and Dental Space Planning), pub. John Wiley & Sons). Another important aspect of medical office design and dental office design is the aesthetics or ambience of the environment—the image that is created to help market the practice and also make it a pleasant place in which to work.